I am Ann Scott-Jenkins. I am the blonde dancer in the above photo. Rhonda Anderson was the brunette dancer. Ray Walker was the lead singer. His brother Mike Walker played rhythm, Steve Evans played bass and Larry Burton played drums. The top photo was taken in my backyard by Ron Nolan from KATU Channel 2 News. It was our publicity picture. 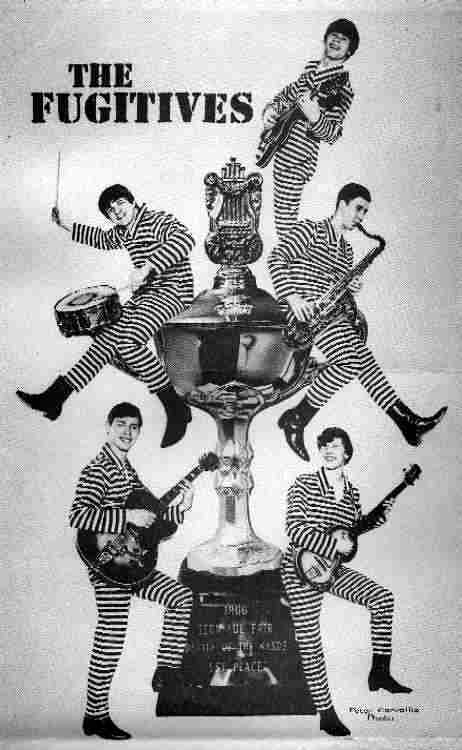 Bob Bentz (not pictured) later joined the group as keyboards. 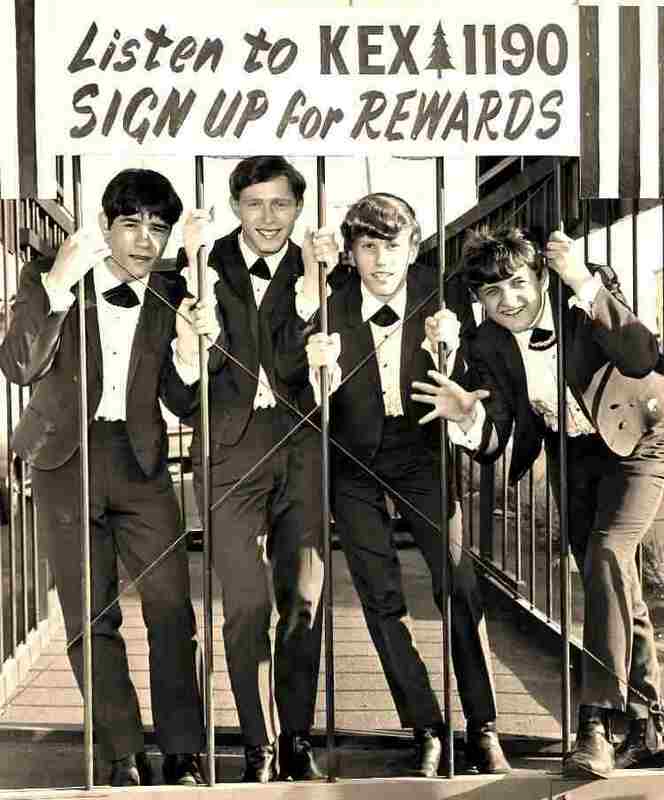 The boys formed the Fugitives in the mid 60's. 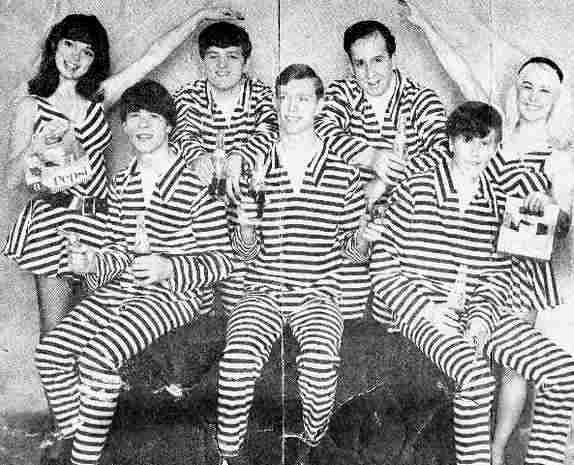 Rhonda and I joined the group as dancers around 1967. Jane Russell was in Portland for a benefit and asked Rhonda and me to join the boys for one set. Everyone loved it and the group became The Fugitives with Ann & Rhonda. We won Battles of the Bands and traveled throughout Oregon, Washington and California. I moved to Los Angeles in 1969 and lost track of the group. I continued my dancing and went on to become one of Dean Martin's Golddiggers. Steve Evans later joined the band "Action Unlimited Show Band" and played as a professional musician until the mid-1980's. Steve played bass guitar, trumpet, trombone, bongo drums and vocals. In the later years, they played as the main band in Portland, Oregon at the Longhorn and then at Taylor's Viewpoint for several years when it was a bar and dance club. Steve Evans passed away March 9, 2012 from cancer.